Azerbaijan's Prosecutor General Zakir Garalov and President of the International Association of Prosecutors (IAP) Gerhard Jarosch discussed prospects for strengthening cooperation between the country and the organization in Baku. Garalov highlighted reforms in Azerbaijan`s prosecution system, particularly improvement of the country's legislation, Azertag state news agency reported. 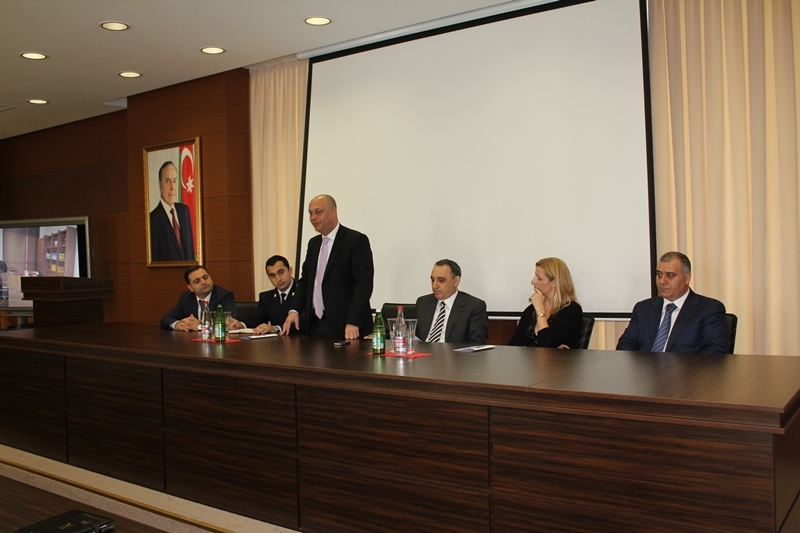 He spoke about the work of the Anti-Corruption Department under the Prosecutor General's Office. Garalov also proposed holding presentations on ASAN Xidmet, State Agency for Public Service and Social Innovations under the Azerbaijani President, as an effective model of preventing and fighting against corruption for IAP member states. Jarosch, for his part, hailed cooperation between Azerbaijan and IAP as close, saying the country has made considerable contribution to the organization's work. He stressed the importance of organizing meetings of heads of justice, prosecution and law enforcement bodies of IAP member states, and conducting the experience exchange. Jarosch welcomed the idea to promote achievements of the Anti-Corruption Department under the Azerbaijani Prosecutor General's Office in the International Association of Prosecutors. He proposed creating a joint website with the aim of carrying the exchange of experience in fighting against corruption. IAP President also met with Justice Minister Fikrat Mammadov and praised judicial reforms in Azerbaijan. Hailing Azerbaijan`s cooperation with IAP, Jarosch said the IAP was determined to continue its bilateral cooperation with Azerbaijan. Jarosch said Azerbaijan's holding the IAP Executive Committee membership had proved fruitful for the Association. Mammadov, who is a senator and honorary member of IAP, stressed the organization's role in ensuring the rule of law and combating crime on a global scale. He praised Azerbaijan-IAP cooperation as "successful".